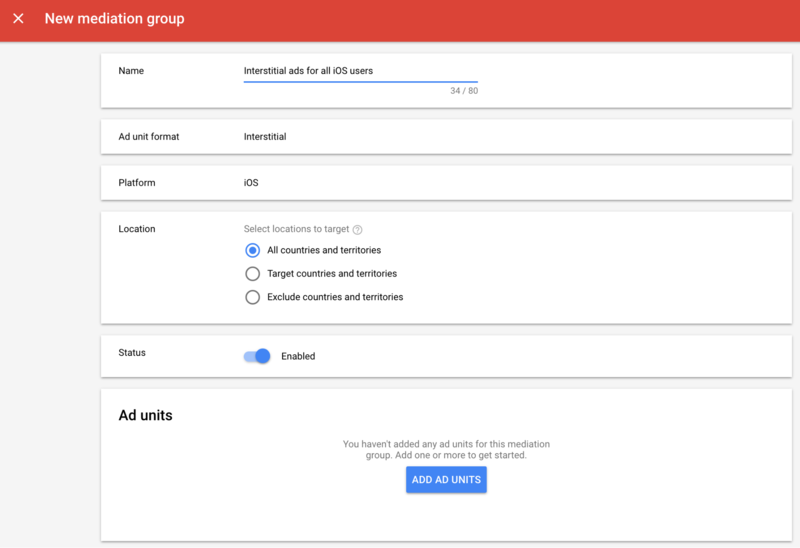 This guide is intended for publishers who want to use the Google Mobile Ads SDK to load and display ads from Unity Ads via mediation. 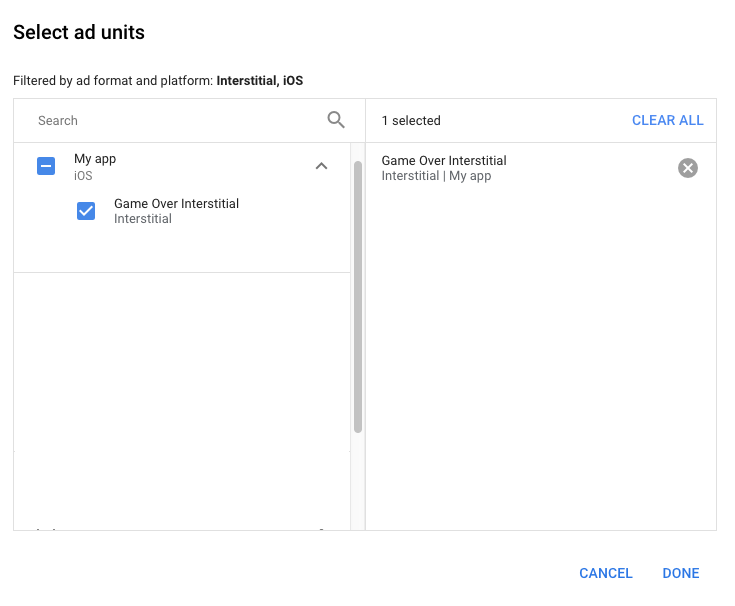 It covers how to add Unity Ads to an ad unit's mediation configuration, how to set up Ad Network Optimization (ANO), and how to integrate the Unity Ads SDK and adapter into an iOS app. 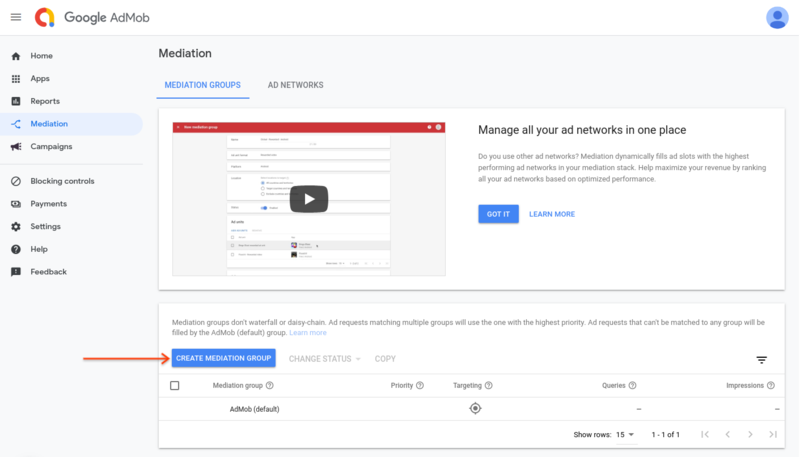 Now create a new placement to be used with AdMob mediation. 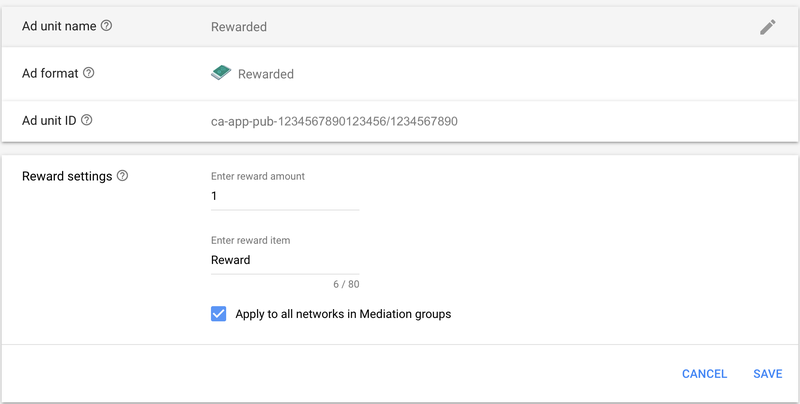 We recommend creating a new placement for mediation with AdMob even if you have a placement already. 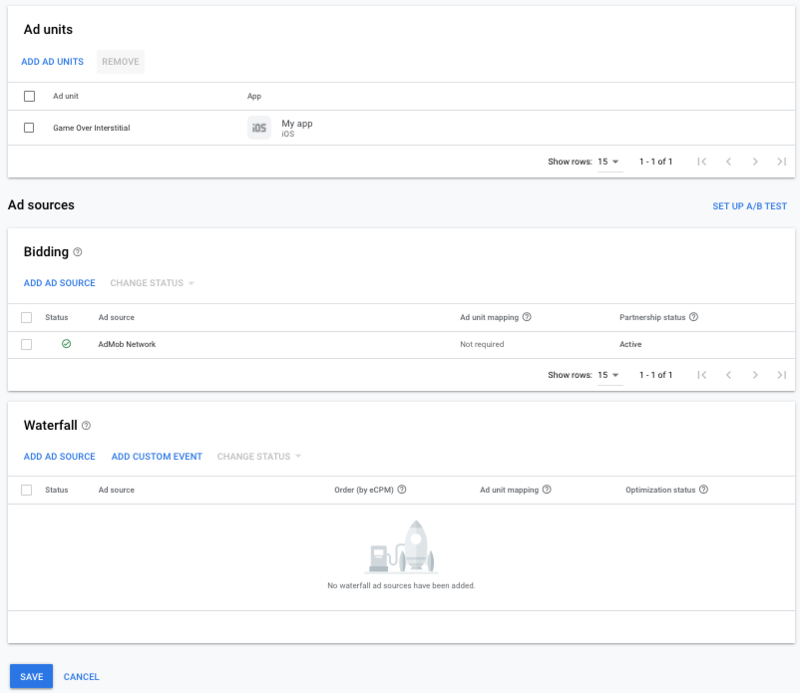 To create a new placement, select your project under the Projects tab in your Unity Ads Dashboard. Go to your iOS app by selecting Apple App Store under the Platforms tab of your project. 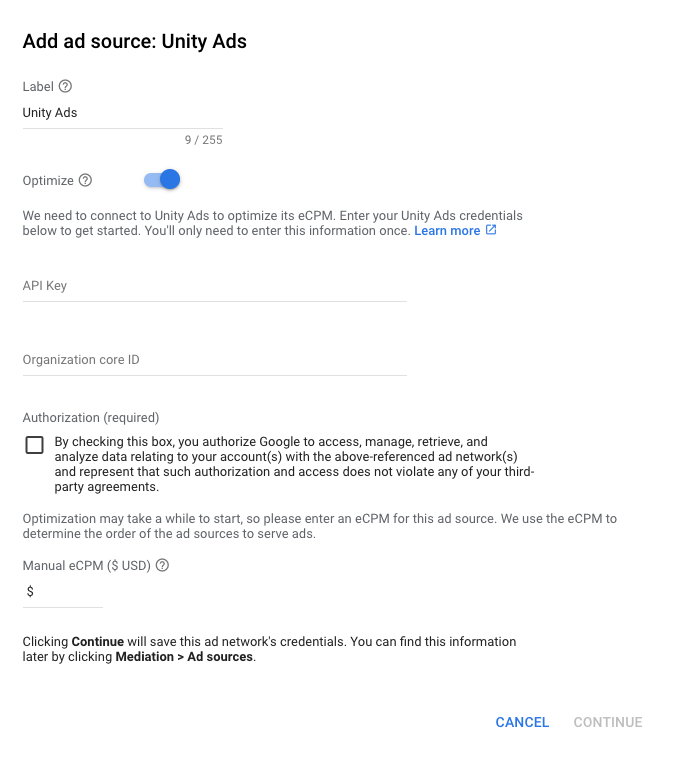 You need to add Unity Ads to the mediation configuration for your ad unit. First sign in to your AdMob account. Next, navigate to the Mediation tab. 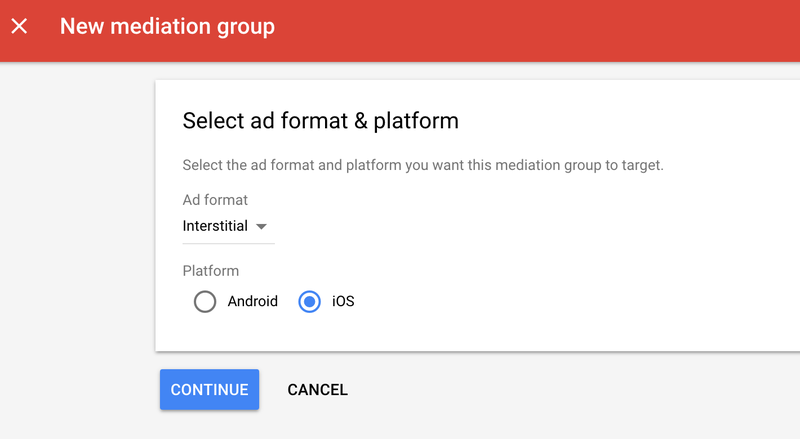 If you have an existing mediation group you'd like to modify, click the name of that mediation group to edit it, and skip ahead to Add Unity Ads as an ad source.